Effie's Boutique is proud to offer the latest selection of Portia and Scarlett prom dresses, evening gowns, and more. Whether you’re seeking a show-stopping number for prom, a special evening dress for an upcoming gala, or a gown that will make a splash at the social event of the season, the designs created by Portia and Scarlett are sure to be a hit. With a welcome mix of contemporary lines and romantic, feminine touches, this evening wear will present the perfect combination for the desires of the modern woman. Stunning the crowd will be a breeze when you slip on one of these designer dresses. When you want to enhance your figure and show off your fashion sense, Portia and Scarlett provides an impressive array of garments for you to choose from. With over 100 stockists around the world and seven successful years of operation, this rising star of fashion should be on the top of every woman’s list for when she needs to look her drop-dead best. At a time when the subject of inclusivity is everywhere in fashion, Portia and Scarlett believes that every woman deserves the right to feel beautiful, luxurious, and on-trend. That’s why this designer label has more than 1,000 styles currently available and carries sizes from 0 to 18. 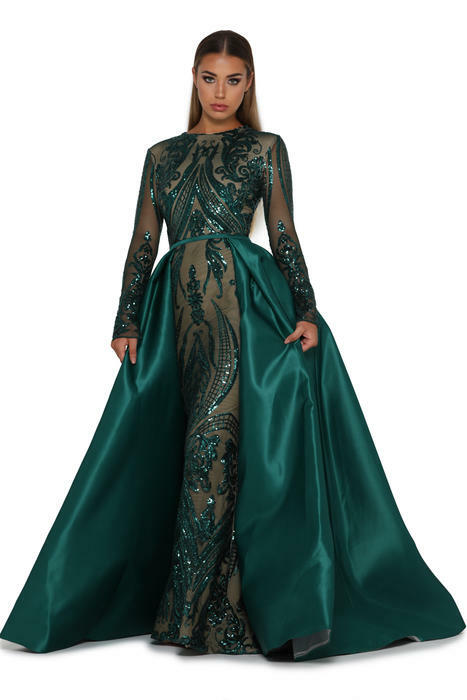 While plus-size prom dresses can be hard to find in New York City, or anywhere for that matter, Portia and Scarlett offers plus-size dresses for every occasion. With silhouettes meant to hug every curve and highlight the appeal of the female figure -- regardless of size -- there’s a style fit for every woman. Portia and Scarlett is an Australian-born brand with massive appeal worldwide. What began as a family business well-known on the beauty pageant circuit has since blossomed into an internationally recognized fashion house with corporate headquarters, design studios, and showrooms in Sydney. The brand’s designs can be found in over 20 countries around the world and its flagship boutique boasts the highest turnover of bridesmaid gowns in the entire country. The brand’s massive Instagram following and enticing designs that exalt the shapely, modern woman have solidified Portia and Scarlett’s place in the fashion world. Portia and Scarlett designer dresses have widespread allure due to the sheer assortment of the designs. While the brand’s offerings are meant to honor the woman of today, the collection acknowledges that variety is the spice of life. From soft, blush pink gowns to dramatic, jet black dresses, there’s something for every woman and every occasion. Regardless of whether you’re searching for a simple silhouette or something truly unique, you’ll find what you’re looking for with this brand. Feathers, tulle, lace, florals, slits, cut-out panels, appliques, sequins, ribbons, and other embellishments are common -- but if you’re a no-fuss type of gal, there are plenty of classic, solid gowns to be found. Above all else, Portia and Scarlett is meant to be a wearable brand that every woman can own and wear with aplomb. 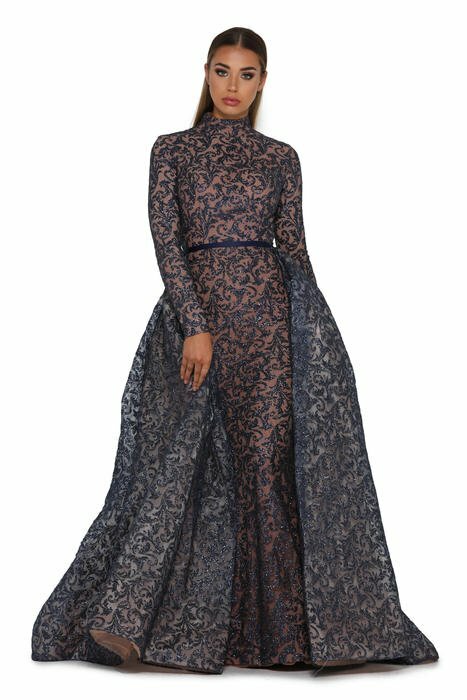 A design house that caters to all shapes, sizes, and styles, you’ll never look less than a million dollars when you wear one of these dresses for your next event. 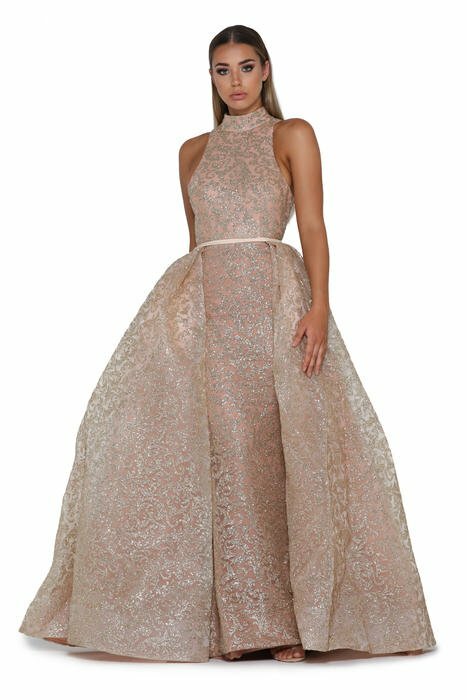 If you're looking for plus-size prom dresses, evening gowns, and formal dresses in New York City, then visit Effie's Boutique for the finest selection available.